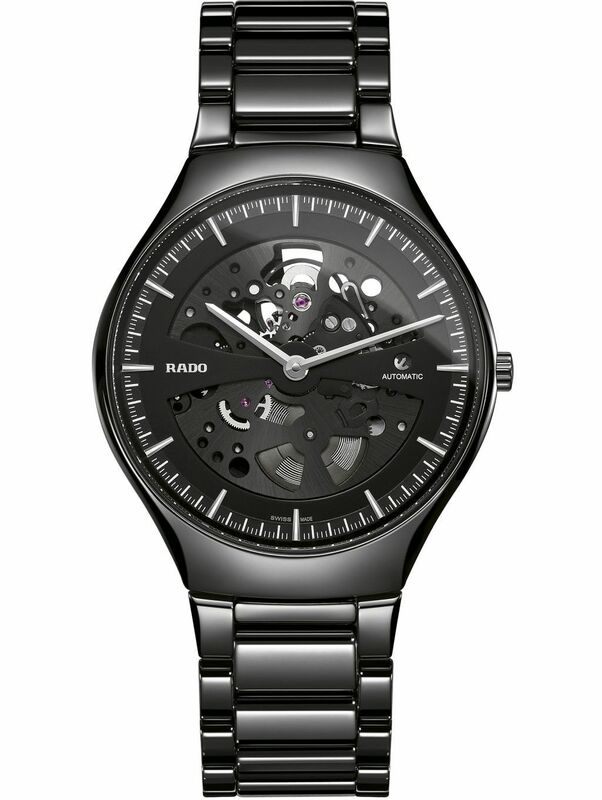 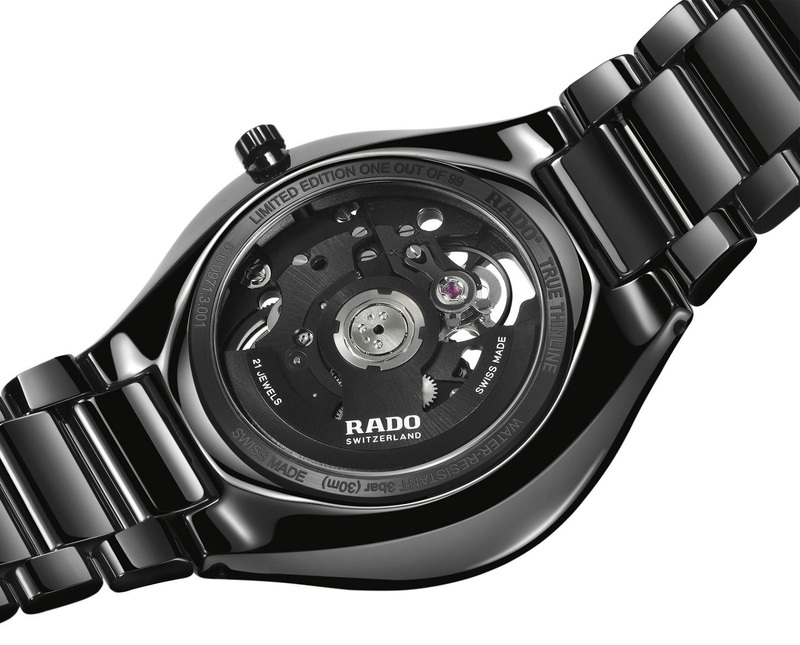 Swiss watchmaker Rado unveils the True Thinline Skeleton, a striking limited edition timepiece for mechanical watch lovers who demand the comfort and beauty of cutting-edge design and materials. 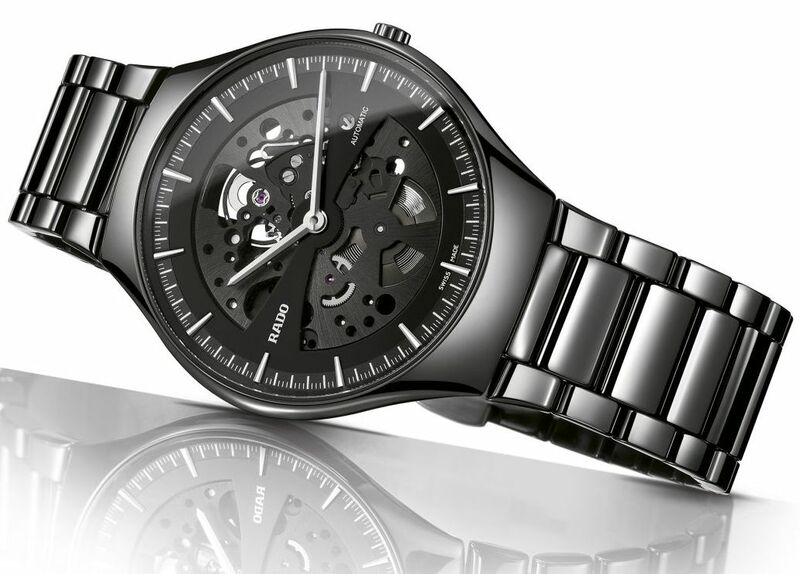 Under a black dial with stylized semicircle cut-outs, the ultra-slim decorated Swiss movement powering the True Thinline Skeleton offers stunning views. 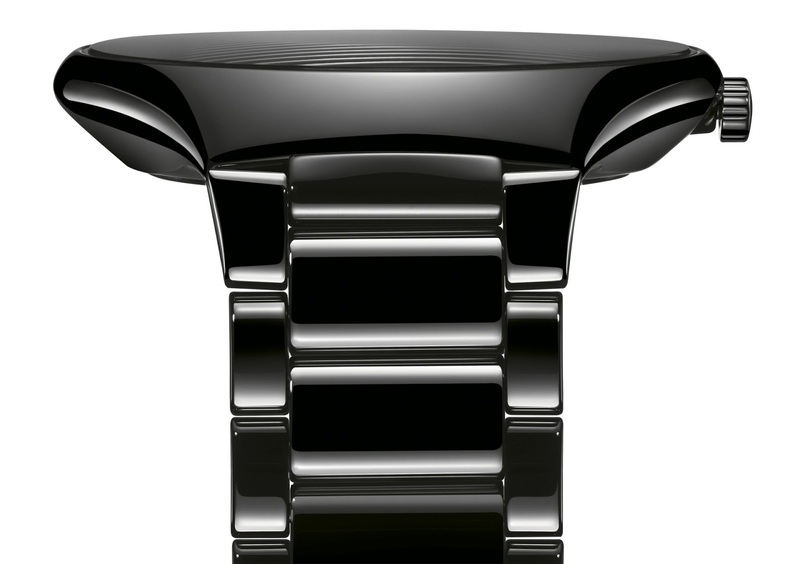 A black beauty adorned with 21 crimson jewels, the amazingly thin movement throbs and oscillates, putting on a show in its slim high-tech ceramic case. 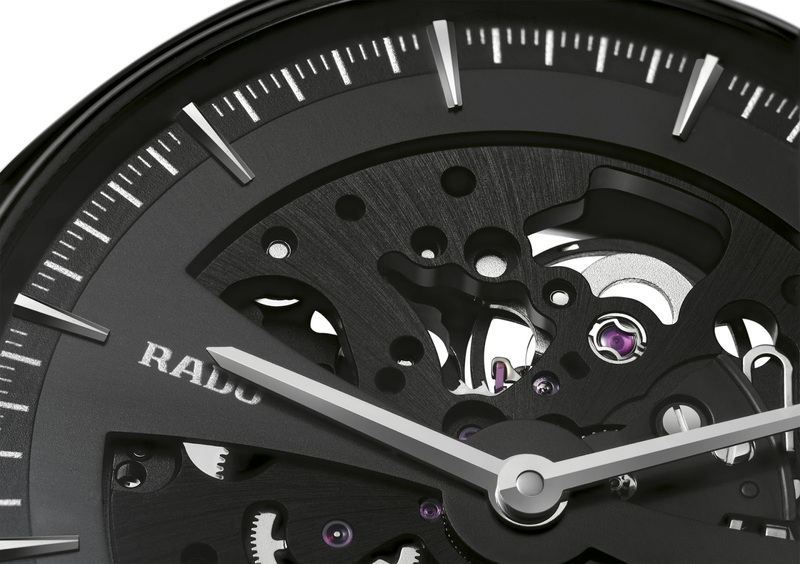 A piece of wearable technology and craftsmanship, the True Thinline Skeleton has the same appeal as Rado’s other high-tech ceramic timepieces – namely, being both lightweight and incredibly hard, and boasting impressive scratch resistance while offering unparalleled comfort and good looks.